Job Opportunities- We are not currently recruiting at present. New Product- Look for our new shapely wigmakers' malleable block now in stock! 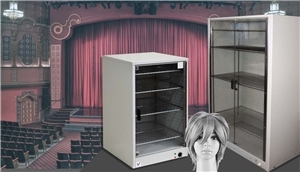 Drying cabinets offer minimum damage to wigs as they are temperature controlled which prevents heat damage and they can be dried with minimum handling.Wig Drying Cabinet.300 litres with internal fan circulation lockable wheels. Glass door.2 adjustable shelves. Please allow 6 weeks for delivery. Babyliss Hotsticks are now in stock!! Banbury Postiche is the leading UK supplier of, custom-made human hair wigs, pattern matched European hair and specialist wig making equipment. We can make a wig to meet your production requirements, can supply you with hand pattern matched hair, repair and re-fresh your existing wigs or supply off the peg acrylic and human hair wigs. Heat resistant fibre and yak hair are also available in a wide variety of colours. We offer an NVQ Level 2 introduction to wig making training course and are Internationally recognised for our quality and outstanding service. We are now taking order for our be-spoke college kits tailored for you. Call Nick on 01295 757406 for a quote. Monday 13th May to Friday 17th May and Monday 16th September to Friday 20th September. 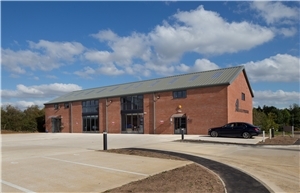 We have a day that covers everything from wig base construction, client consultation, fitting, aftercare, information about colours, styles, brands, face shapes, NHS and Private Customers, becoming a Trade Account / Agent with Banbury Postiche. A certificate is given for this by ITEC as part of the NVQ Level 2 overall wig making certificate.